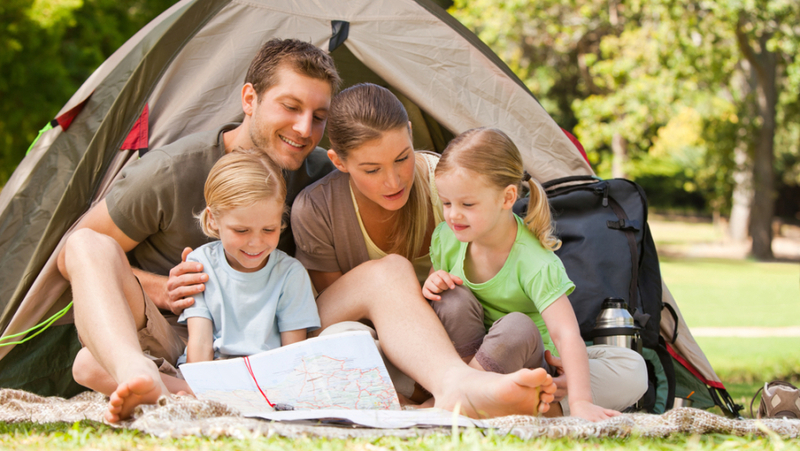 For many families, camping can be really fun. This should be an opportunity to spend a quiet moment together in the midst of the nature. The whole experience can be really invigorating and relaxing at the same time. Despite the challenges for beginners, the whole experience can be quite gratifying. Camping should be an ideal experience during the long weekend. With enough preparation, it’s difficult for us to get bored during the family camping activities. Happy family experience can be combined with a time away in the woods. We could also make enough adjustments, so we will be able to accommodate the preference of each people. Obviously, there are alternatives that we need to consider. As an example, the wife may prefer a warm bath after spending a whole day outdoor. Children may consider that video games and mobile devices as their daily sources of excitement. It is important to remind everyone that they will not be able to access these things during their time outdoors. Before spending time in the woods, there are a number of things that we need to consider. As an example, we should locate a campground that is entirely safe and secure. We should investigate the area to know about the available activity opportunities. We should also make sure that the tent is sufficiently big for the whole family. If handling a big tent is somewhat difficult, it is acceptable to use two or three smaller tents. During the night, it is important that we are able to stay warm and we may need to use sleeping bags inside the tent to retain body heat during a very cold night. If we don’t use sleeping bags, we should make sure that there’s enough cushioning to ensure comfortable sleep. We also need a couple flashlights and enough spare batteries to last the entire camping trip. There could be multiple ways of starting fire that we can choose. We may bring standard matches that are stored individually in small plastic packets. We may also bring a few lighters as backup. We should also bring enough toilet paper and learn how to maintain sanitation. It won’t be too thrilling to finish the job with leaves, especially because some of them can cause itches and irritation. It is better if the campground has toilet facilities, if not; we may need to bring a small shovel to make small holes. During camping, we need to bring enough canned food, packaged food, rice, instant noodles and other food that has long shelf life. We need to bring basic first aid kit and enough clothing, as well as other extra stuff. This is far from a comprehensive list of things that we can bring; but we should have an idea on how to have good camping experience with the whole family. Regardless of our preparation, we shouldn’t expect to drag our normal home life into the campground. Many things will be significantly different. We should be aware that we are not heading to a hotel. So, we will need to be fully prepared to live a spartan life for a while.